The apartment is on the 1st floor (no lift) so up a few stairs and consists of a fully fitted modern kitchen with all necessary appliances a dining table with seating for 6 people, bathroom with bath and separate shower, lounge which has gorgeous Victorian windows with views across the common and beyond, sofas to relax on with a book, or watch TV. WIFI availble. There are two double bedrooms with the master bedroom having the double French doors leading to the beautiful wrought iron Victorian balcony which has great views across the Solent and Southsea common. The balcony is west facing so is perfect for watching the sunset and relaxing with a nice drink. 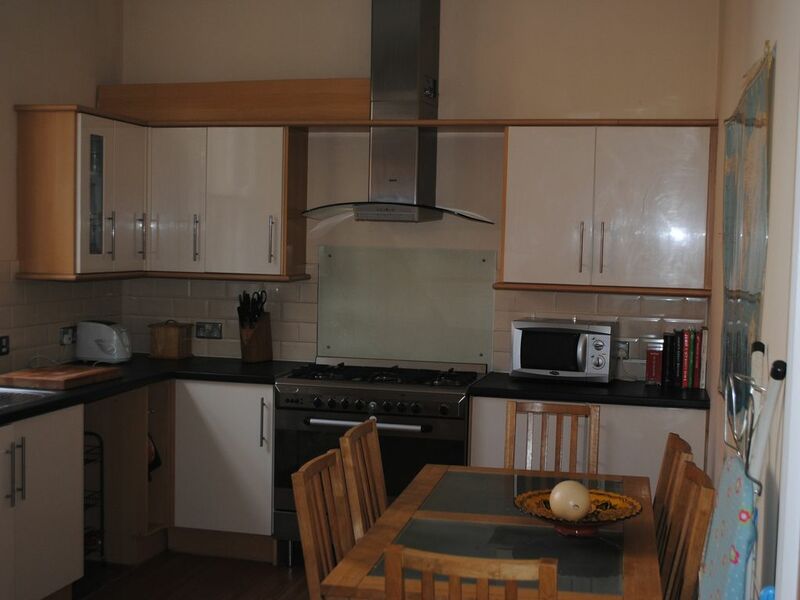 The apartment is spacious, light and airy throughout with lots of original features. Parking: If you have a car please let us know and we will provide you with parking permits for the duration of your stay they will need to be paid for cash on arrival The price 24hrs at £2.20, 4 days £6.50, 7 days £11.00. The parking is on street and not allocated. Ideally located for the local shops, cafes, bars and restaurants and boutique shopping and Gunwharf Quays is a short 10 minute walk away. Parking permits are available upon request and cost £2.20 for 24hrs. The relevant cash can be left in the property. The parking is 1st come 1st served (not allocated). The apartment is really spacious and relaxing, you are in walking distance to Gunwharf Quays, The historic Dockyard, the hovercraft (the only one left in service now in Europe!) is a fabulous day trip to the Isle of Wight and golden sandy beaches. There are a wide range of bars and restaurants all located just round the corner along with a shopping precinct. You honestly don't need the car. Come and enjoy Southsea the kids will love it too as there is a park directly opposite along with the funfair, aquarium and splashparks, The pyramids which has a swimming pool with waves and flumes. + lots lots more.